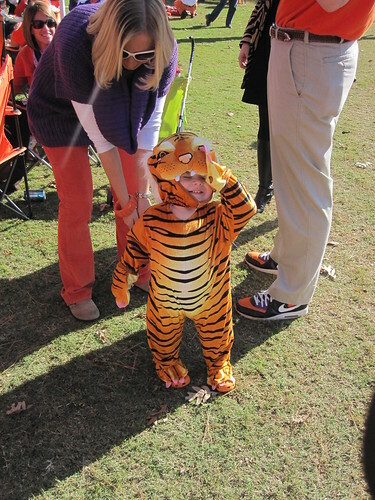 Did you see this picture of Caroline's little boy from our gameday photo album from this weekend? 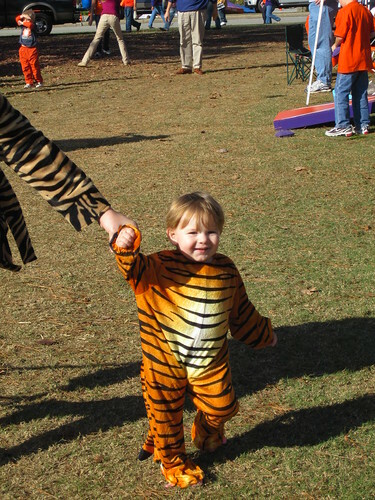 If you'd like a tiger costume like this for your little Clemson fan, you can bid for one on e-bay! Caroline has a few extras - She has only one baby costume left for 6-12 months, 3 left for 2-4 years, and 7 mediums for 12-24 months. 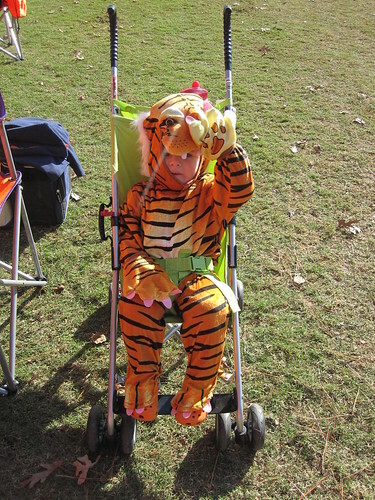 You can bid or buy any of the costumes she has left on e-bay - visit her full listings page to find the size you need. Caroline is donating 10% of the final sale price to St. Jude Children's Research Hospital. 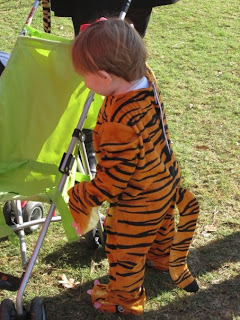 This outfit would be so cute and perfect for this weekend's game. Hurry up and bid if you're interested before someone else snags them!